Accessory and hardware manufacturer Kingston has this week launched its new Kingston Nucleum Hub which was first unveiled earlier this year during January in CES 2018. The new pocket-sized hub offers a number of features for mobile computer users including seven ports accessible from one USB-C connection, as well as support for 4K HDMI output, power pass through to charge your connected devices and handy SD and microSD slots. Watch the demonstration video below to learn more about the Kingston Nucleum Hub. Kingston will be making the Nucleum Hub available to purchase on May 21st, 2018 priced at £79. More information jump over to the official Kingston website by following the link below. 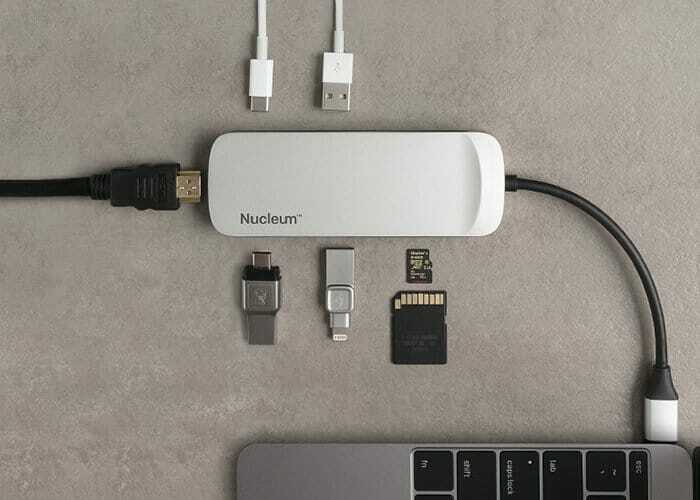 The Kingston Nucleum Hub will be especially useful if you own one of Apple’s latest MacBook laptop systems, which only sport USB-C connections.